At Crucial Environmental, we offer a one-stop service so that our clients can effectively understand and manage their asbestos-related problems in one place. In addition to asbestos surveys and asbestos removal, we offer comprehensive training to help your business operate safely around asbestos and asbestos-containing materials. We provide Asbestos Awareness Training in accordance with Regulation 10 of the Control of Asbestos Regulations 2012 and cover all the required elements to ensure that your business is following the legal procedure for safe and effective asbestos management. If you already have existing asbestos management processes, this training will help you to maintain them and ensure they meet the current Health and Safety requirements. For anyone that wants more specific guidance about working with asbestos, we provide bespoke, one-to-one training about asbestos management and asbestos awareness. Our “asbestos masterclass” is tailored to your specific requirements to ensure you achieve the level of knowledge required for your role and to achieve your ongoing asbestos management goals. Our team at Crucial Environmental provide bespoke toolbox talks for your site teams, that focus around the specific asbestos management procedures already implemented by your business. 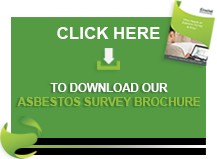 These aim to supplement your asbestos awareness training, provide an alternative to annual refresher training or to address asbestos knowledge gaps. At Crucial Environmental, we tailor our asbestos training courses to the specific needs of your business, and all sessions can be held either at our training facility or at your own location. For more information about any of our services available in the UK, please give us a call or send us a message via our contact page. We are a proud member of Checkatrade. Asbestos and the workplace – Where could you find asbestos in your office? Should I buy a home with asbestos?